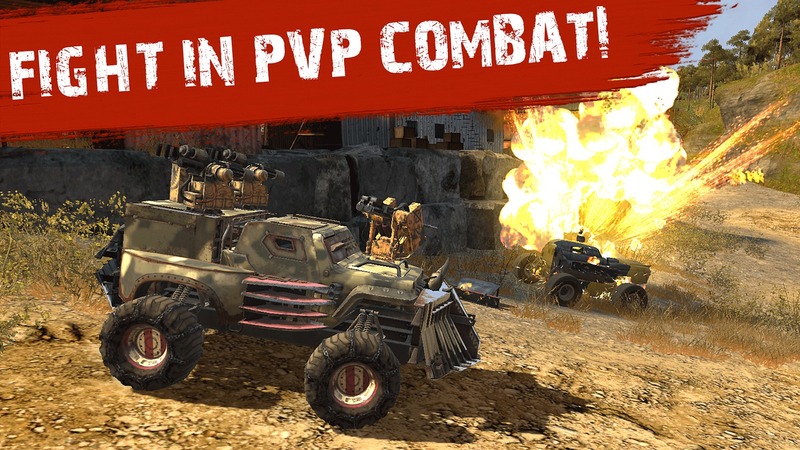 Crossout Mobile APK Download - Build your machine, win your battles! 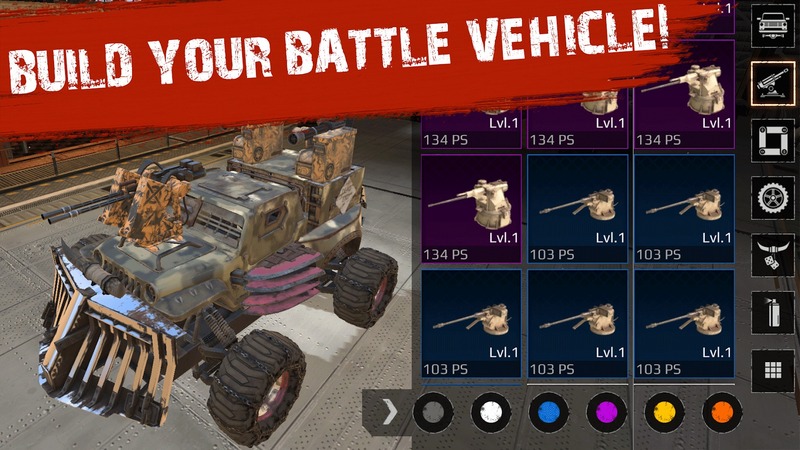 Home / Games / Crossout Mobile: Build your machine, win your battles! Do you like racing games? In Crossout Mobile (Rename fromMad Driver), the winner is not the first one but the one who defeats the other players. The gameplay is quite similar to the first-person shooter games, but what you control is not a warrior or a soldier, it’s a vehicle war machine with heavy weapons. If you love cars but are starting to get bored of traditional racing games like Asphalt 9 or GRID Autosport, this game is a perfect choice for you. Driving in Crossout Mobile is very similar to PUBG Mobile, the left side of your screen has a virtual key for you to control the car and a virtual key to shoot, the virtual key to the right of the screen to help you adjust the camera. For who like racing game on mobile, the control of this game will be a bit difficult for you in the beginning, but you will master it after a few games. 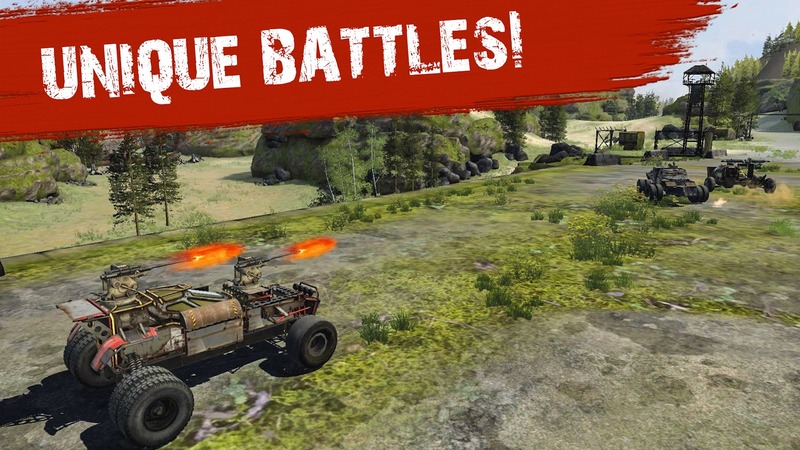 The main mode of Crossout Mobile is 4vs4 battles. To start a match, you will be teamed up with any player on the system. Your task is killing all enemies to win. Focus your firepower, move wisely and turn your opponent’s vehicles into a heap of scraps. Join the game and beat the players all over the world, climbing to the top of the global rankings. One thing interesting is you can destroy your opponent’s vehicles by focusing fire on the parts of your vehicle. For example, if you fire on an enemy’s gun, it will be damaged and left out of the car, and the enemy’s car can’t attack you. If you shoot all four of your opponent’s wheels, their vehicles will not move and you can attack freely. But be careful because the enemy can do the same thing to you. Collaborate with your teammates and create great tactics in this game. Not just modern luxury cars such as Ferrari or BMW, cars in Crossout Mobile look pretty old and like cars are recycled from scrap yards. However, that is what makes this game special. The game allows you to use the materials you collect to build your own car. From hundreds of different parts, you can make millions of cars that do not coincide with any vehicle. An armored car, speed car or a car equipped with a bazooka, which one do you like best? The graphics of Crossout Mobile made me feel surprised. The graphics of the game is not inferior to any other game on the market, it can be compared to the leading games like PUBG Mobile. The publisher Gaijin Distribution deserves praise for its stunning image quality, sharp resolution, and realistic in-game environment. You should see a car destroyed, the visual effects help it become more like in real life. Mad Driver is a great game in the year 2018, but it can’t win a lot of attention from players. So I think rename to Crossout Mobile will make a change. Nice graphics, great gameplay, and many attractive features are waiting for you to explore. Currently, the new game only supports the Android operating system, you can download via the links below this article. 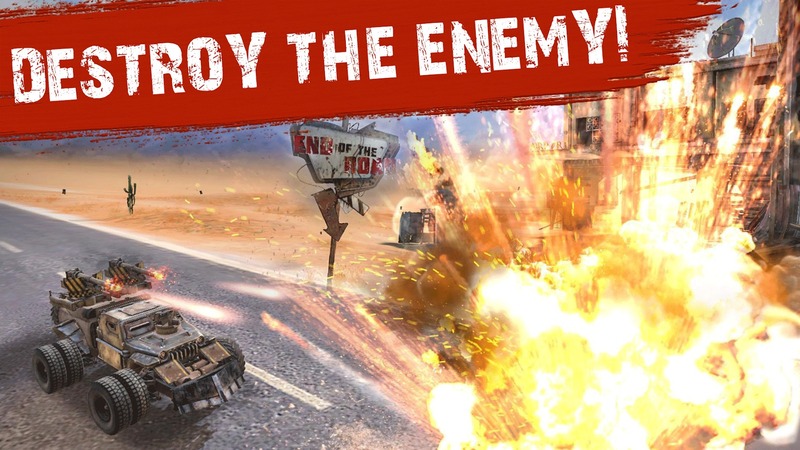 Crossout Mobile APK is ready to download! 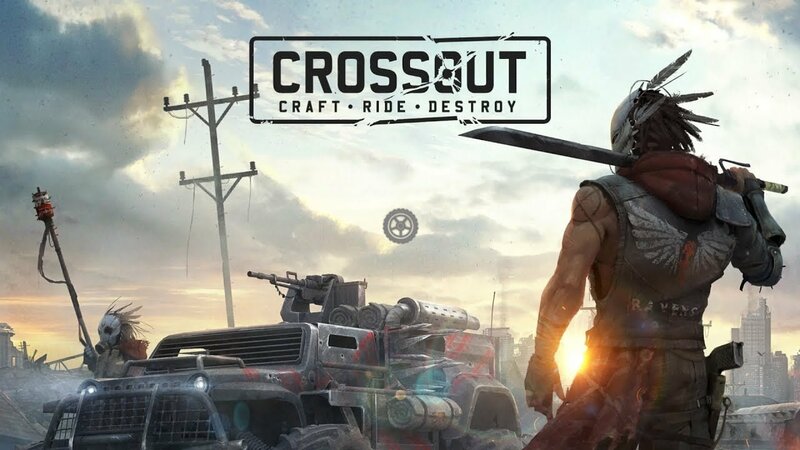 Depending on your needs, you can download Crossout Mobile MOD APK or Crossout Mobile Original APK. Or install from Google Play / App Store if you want.